Sweeping U.S. tax reform only comes around every 30 years or so. That's about as old as Millennials. And now that the Republican tax plan has passed, you can anticipate living with this tax code for many wage-earning years. While there are some immediate changes, like the repeal of the individual mandate for Obamacare, which is likely to throw your health care costs out of whack, the provisions that affect you most -- like tax exclusions for employee sponsored tuition and tuition waivers -- remain in place. "This was a huge win for employees who are trying to advance their education, improve their wage growth and their upward mobility in the work force, as many young people are," says Kathleen Coulombe, senior advisor for government relations at the Society of Human Resource Management. Overall, young people will do alright under this tax plan. You'll still have to pay taxes, of course, but probably at a lower rate -- at least for the next several years. And many things near and dear to you and your financial well-being have been preserved and will remain unchanged. The median weekly pay for people 24 and 34 is $778, according to the Bureau of Labor Statistics. Over the course of a year that would amount to $40,456. At that income level, you'll move from a 25% tax bracket to 22% once the new rates take effect. But not everyone will be taxed at a lower rate. Find your bracket to see where you would fall. If you don't have a lot of deductions and usually take the standard deduction, there's more good news here: the standard deduction would nearly double to $12,000, up from $6,500. That's assuming you're single. If you're married, the standard deduction rises to $24,000. If you, like most Millennials, are a single person without kids, you aren't going to get much more out of the plan. But if you do have kids, or plan to soon, you'll be eligible for the expanded child tax credits aimed at families. Depending on your tax bill you might not be eligible for the entire credit, as much as $2,000 per kid. But even without a tax liability, you'll still get $1,400 per child back. Some 145,000 graduate students do not have to pay tuition because their college has waived the cost, as part of an arrangement in which the student teaches or does research. 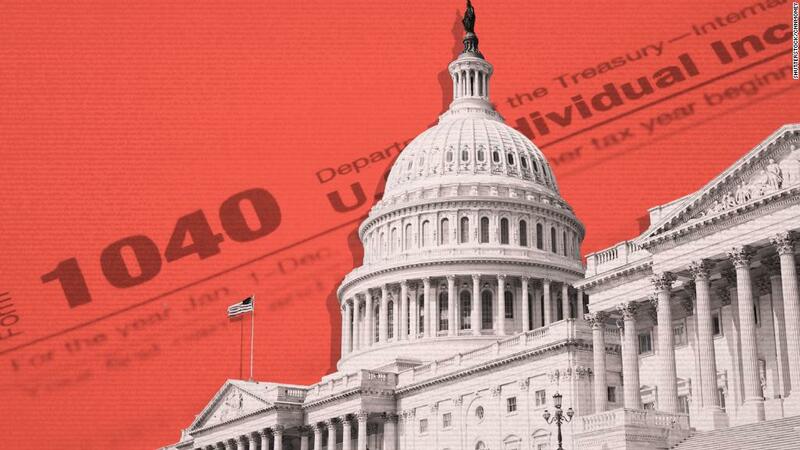 An earlier version of the tax bill passed by the House in November would've taxed that money as income. But in the final legislation, the benefit was preserved. Your employer can contribute up to $5,250 a year to your tuition for qualifying continuing education programs, and you don't pay tax on that. This is a very popular benefit that expands skill sets and can bump someone up to a higher paying job within an organization, says Coulombe. "If your employer provides the benefit, it doesn't have to be related to your current job," she says. "You can use it to re-skill or to transition into something else, and employers get to keep your talent in house." When the House plan proposed making this benefit taxable, many people currently enrolled in programs starting in January were afraid they would be left in the lurch. But in the final proposal, the benefit will not be taxed. You're allowed to claim a deduction of up to $2,500 per year on the interest paid for student loans. This benefit phases out as your income goes up, so that by the time you're a single earner making more than $80,000 or a couple earning $165,000, you don't get the deduction. It can save taxpayers as much as $625 a year. But often it's less. Again, the House's first version of the bill eliminated the deduction, but the final bill keeps it in place. While this is an existing tax benefit for employers, it directly affects young people. The Work Opportunity Tax Credit incentivizes employers to hire certain groups like young people who need to work during the summer and young military veterans. In the final legislation, this provision isn't going anywhere. Under the existing law, even if you don't itemize your tax returns, you can still deduct moving expenses. But under the new tax bill, this deduction will no longer be available. However, there may be some exceptions for members of the military. The current tax code allows you to knock off up to $20 from income per month for the costs of bicycle commuting to work, assuming you are not otherwise enrolled in a commuter benefit program. But this deduction will be eliminated. Currently you can deduct the cost of having your taxes prepared by a professional or the cost of tax preparation software, as well as the fee to file your forms electronically. Not anymore. The new bill gets rid of this deduction. We know. This is supposed to be about taxes. And it's confusing enough without adding health care to the mix. But by taking the tax penalty for not having health insurance to zero, the tax bill effectively weakens Obamacare, which covers more than 12 million people this year, including many young people. The health care marketplace cut the uninsured rate for people 18 to 34 years old in half between 2010 and 2015. Repealing the mandate that requires all Americans to have health care will result in about 4 million fewer people being covered in the first year the repeal goes into effect, rising to 13 million by 2027, according to the Congressional Budget Office. The upside is that if you don't want to buy health care, you won't be penalized for skipping it. Just remember when you do, that medical debt is the leading reason for personal bankruptcy. The result for the rest of us: premiums would rise by about 10% in the following decade.